My screen broke, so I bought this replacement screen and fixed it myself. Everything seems to work fine except that my brightness stays at max and won't adjust, unless I put my laptop into "sleep" mode after a reboot. This problem has persisted since OSX High Sierra, so I don't think Mojave has anything to do with it. It has also persisted across multiple OS re-installations. Also note that the problem doesn't exist when using windows 10 BOOTCAMP, and seems to only happen when using OSX. What is the cause for this bug and what can I do to troubleshoot this? Is this a known issue? Any advice and/or links to related topics would be appreciated! I am able to press the brightness keys (F1 and F2) and the small popup window shows up (shown below). 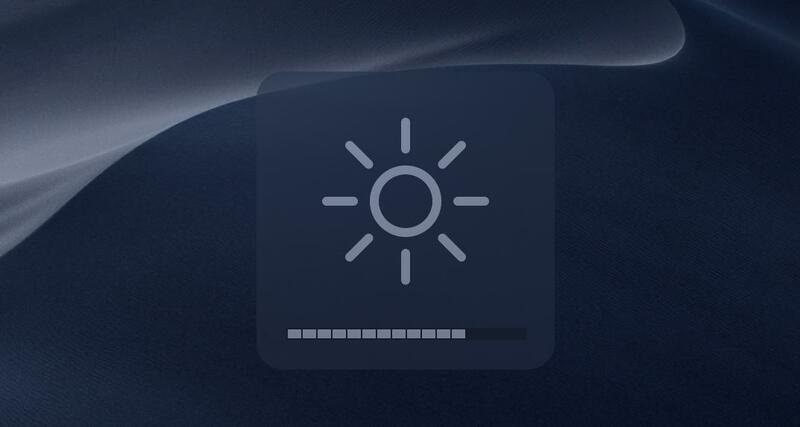 Unless I put my computer in "sleep" mode first, changing the brightness has no effect on the brightness of the computer, despite it indicating that the brightness level is changing. How do I disconnect a projector (SAMSUNG) that I've not connected in the first place? ?